*I won a physical ARC of this book from Ecco Books and HarperCollins Publishers through a Goodreads First Reads giveaway in exchange for an honest review. Rooms is a cross between a ghost story and a mystery, alternating between first and third person point-of-views depending on which character is narrating. It's Oliver's first published Contemporary Adult fiction title. This is the first book I've read by Lauren Oliver. I can sum up my feelings about Rooms in 4 words: interesting premise, weak ending. I won't give away any specific details to spoil the end for you, but I feel like the storylines are wrapped up in a neat, little bow, which completely undermines where I think Oliver was trying to go with the concept of the book-- that life is messy and confusing and oftentimes grim. One of my problems with the book is that the characters are simply unlikable. I get that Oliver is trying to convey that everyone has a dark side and certain circumstances bring out the evil in all of us, but the majority of the characters are all so ugly (sometimes literally, physically ugly) that I had a hard time feeling for any of their plights. I'm still willing to read another one of Oliver's books, however. I hear her YA novels are quite good, especially Before I Fall. 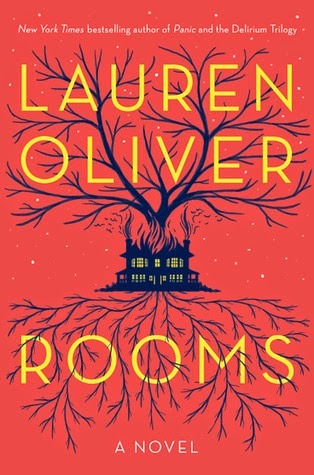 Have you read Rooms by Lauren Oliver? What did you think?